AOMEI Partition Assistant is a highly-efficient, easy-to-use and multifunction partition management software, with user friendly operations to assist you mange the partitions of your hard drives. Under the help of Partition Assistant, you can easily & fast create/delete and merge/split the partition and the most advantage is that it resize/move your partition to readjust the partition volume on the basis that it ensures the security of your data. 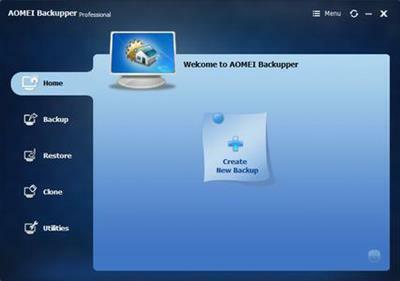 AOMEI Onekey Recovery is a software offering backup and restore system. You can use it to create a factory partition and store system, or you can backup system to external hard disk to save space of local disk. Once you backup system successfully, It will generate shortcut-F11 or A, you can set one of them as shortcut to enter onekey recovery environment during computer startup.For the computers with EFI/UEFI boot, you can enter into the program to restore your system by using Windows Boot Menu. Of course, AOMEI OneKey allows you to configure how to display the boot menu by options.